For more on the location, please see here. We’ll coordinate a meet-up point in the city from which to head out to the beach. Please get in touch so we have some idea of how many people to expect. And feel free to forward! This is a small, indie event, open-mic style (but without a mic). This is not a workshop or a slam. Bring poems, and an open mind and open heart. You forgot about the large paper-cone? Planemad — Great! Please mail either me or Chandrachoodan, so we can keep you in the loop about updates. 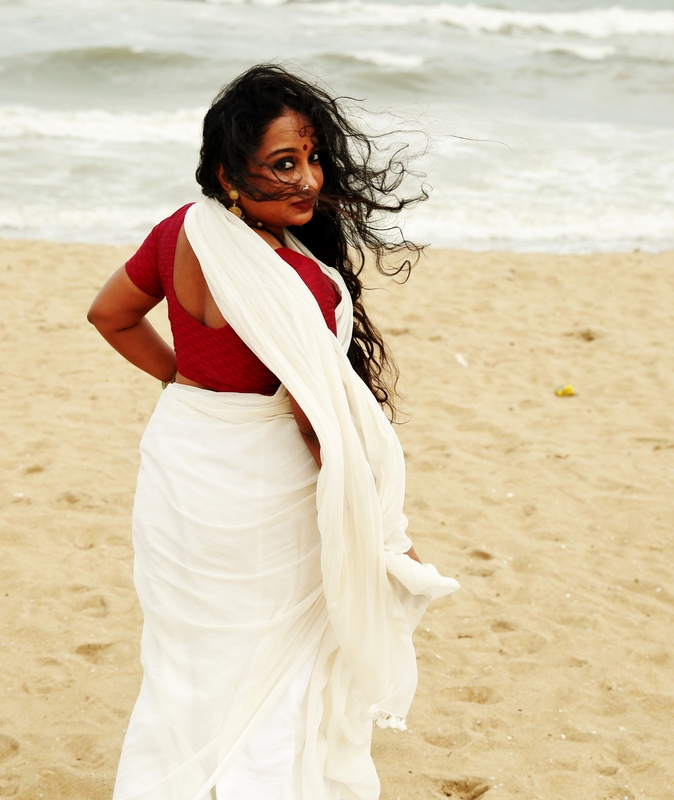 “You bring out the Srilankan in me” – interesting, enjoyed it. I will be there in spirit. Cheers. Can smell the salt in the air. Am coming! Mihir & Deepa — Great! As said in one of the other comments, please drop an email too. 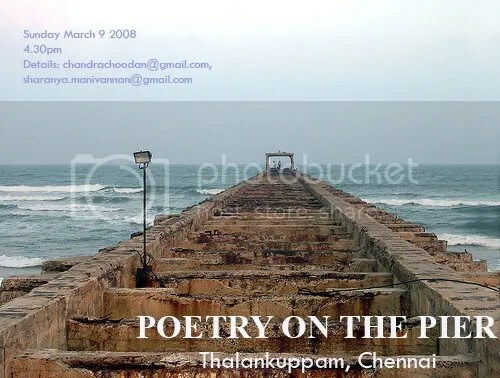 we met during ur poetry read at landmark – :-) poetry on the pier sounds interesting but unable to get the dates and very unfamiliar with the place – but loop me in – interested. against the thrashing elements. Lashing blue blue sea. I cannot climb this little pyramid. and devoured by the breeze. before he had had his evening bath.